Summer Update on Saving Mes Aynak! An updated version of Saving Mes Aynak hit the air on Al Jazeera English on June 29th and streamed online for free on Al Jazeera’s website for a limited time (outside the US). Today is the rebroadcast of updated version…this is worthy of appointment viewing. @AJEnglish @SavingMesAynak @AJWitness It shouldn’t be on the archeologists shoulders. We have all failed the Afghan people. We now have French, Dutch, German, Italian, and Japanese subtitles available for the VHX streaming service. Impassioned viewers of Saving Mes Aynak volunteered to translate the film, making it possible for us to share the film with even wider range of audiences. Home DVDs of Saving Mes Aynak will be released in November with the film’s U.S. distributor Icarus Films. Saving Mes Aynak continues to travel the world this summer! We have screenings being organized by audience members in Luxembourg and Kabul, Afghanistan. Spring 2016 was one of the busiest period for Mes Aynak, spanning Afghanistan, Pakistan, Sweden,Bulgaria, Czech Republic, India, Hong Kong, France, Canada, and in the U.S., Seattle,New York, San Francisco, San Diego, and Santa Cruz. Now Saving Mes Aynak will make its way to the Art Institute of Chicago, a premier museum in the U.S., Italy, Singapore, France, Greece, Lebanon, and Iran. We are also honored to be invited for an encore screening with the San Francisco Green Film Festival this October at the San Francisco Public Library! Furthermore, Saving Mes Aynak will be receiving the prestigious Green Spark Award at American Conservation Film Festival happening the 3rd and 4th weekend of October in Virginia. Saving Mes Aynak will hit Los Angeles, New York, and Washington DC later this year through the China Onscreen Biennial (COB), a showcase of Chinese film and media arts for American audiences. Saving Mes Aynak will be a part of COB’s program called Dunhuang Projected, “named after the eponymous town in the Gobi Desert in northwestern China that was an important nexus of the Silk Road from 400-1400 CE, and the gateway for Buddhism from India into China. The town’s complex of caves hold the largest extant collection of Buddhist art in the world, and is recognized as a UNESCO World Heritage site,” according to the organizers. Thanks to the initiatives of students, professors, and museum professionals, we continue to travel colleges and museums across the country! Director Brent E. Huffman will be in attendance for the post-screening Q&A at the Nelson-Atkins Museum in Missouri. McDaniel College will host Saving Mes Aynak for the World Wise Documentary series. Saving Mes Aynak is the winner of Green Spark Award at American Conservation Film Festival and the 37th Telly Awards & People’s Choice Award. The American Conservation Film Festival committee chose two winners of the Green Spark Award out of nearly 300 films submitted this year, citing Saving Mes Aynak as “the most deserving of the Green Spark Award for drawing attention to a conservation hero.” Brent will be receiving the award in person in October. Aug 28, 2016 | Categories:Uncategorized | Comments Off on Summer Update on Saving Mes Aynak! Saving Mes Aynak continues to travel the world! Saving Mes Aynak continues to travel the world in 2016. 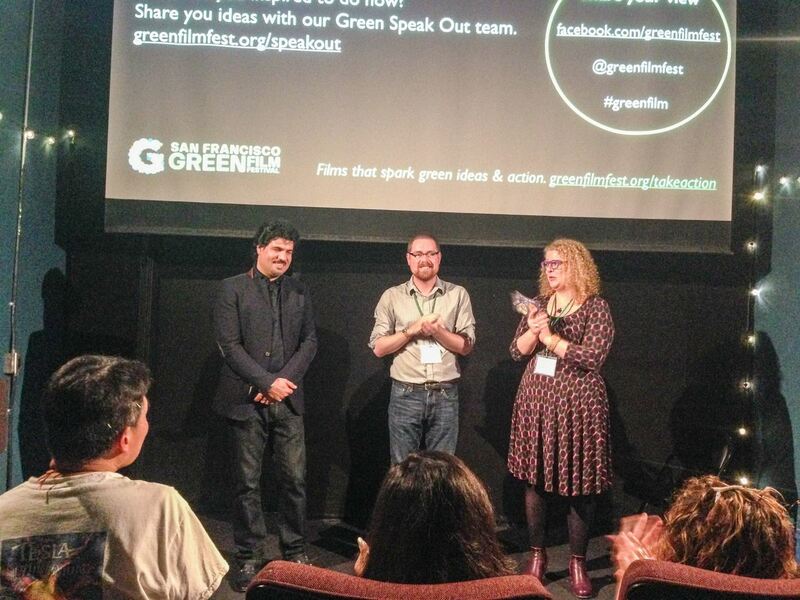 In April, Saving Mes Aynak played at a packed house at the San Francisco Green Film Festival (where the line stretched around the block and people had to be turned away!) and the Hong Kong screening with Buddhistdoor & Center for Buddhist Studies at the University of Hong Kong, where over two hundred people came out to support Mes Aynak. Composer Momayoun Sakhi, Director Brent E. Huffman, Founder of SF Green Film Festival, Rachel Caplan during Q&A. 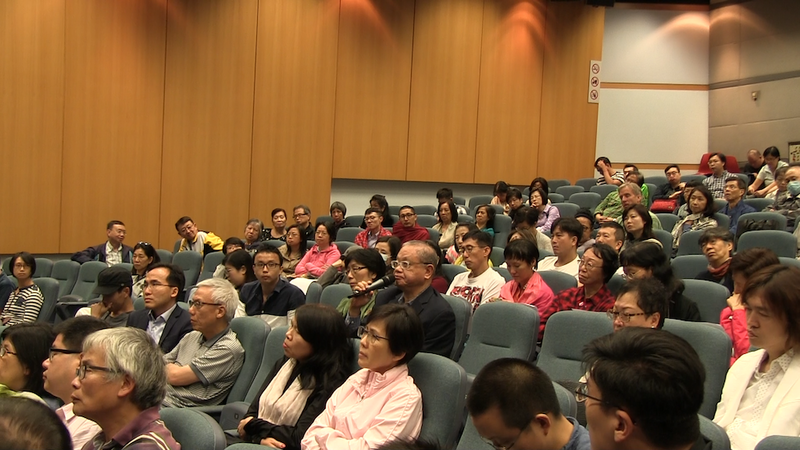 Lively discussion with Director Brent E. Huffman at the Hong Kong screening. Spring 2016 was perhaps the busiest period ever for Mes Aynak events with international and local screenings⎯spanning Afghanistan, Pakistan, Sweden, Bulgaria, Czech Republic, India, Hong Kong, France, Canada, and in the U.S., Seattle, New York, San Francisco, San Diego, and Santa Cruz. In celebration of the May 1st Buddha Day, Saving Mes Aynak was also highlighted on NHK, a premier broadcasting station in Japan. 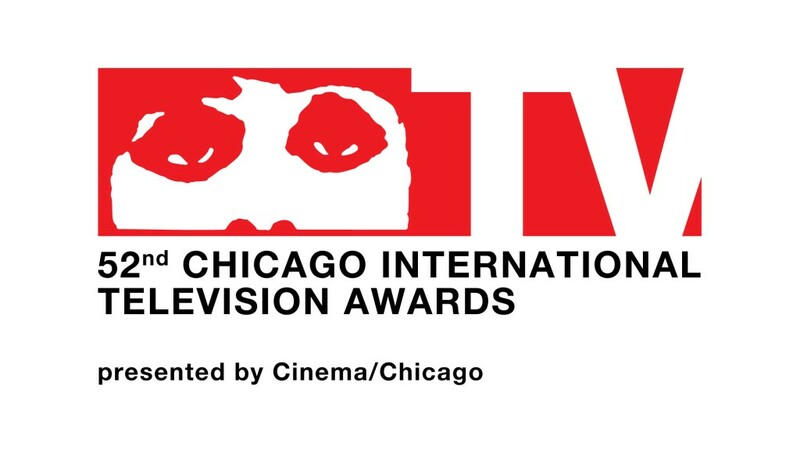 Saving Mes Aynak won Silver Plaque of the 52nd Chicago International Television Awards. The film was expressly chosen from a long list of submissions, both domestic and international. In Bulgaria, Saving Mes Aynak received Special Jury Mention at the Master of Art Film Festival in Sofia. Saving Mes Aynak was further honored by the 37th Telly Awards, best in the Film/Video documentary category and voted for People’s Choice Award. Saving Mes Aynak will screened alongside an exquisite exhibition, Afghan Tales, by the National Museum of World Culture in Göteborg, Sweden. The exhibition will feature 22 contemporary Afghan photographers and objects in the collection of the Museum. This continues the film’s strong partnership with museums, starting with Block Museum of Art at Northwestern University, the Rubin Museum of Art in New York, Seattle Art Museum, and currently at the National Museum of Czech Republic. 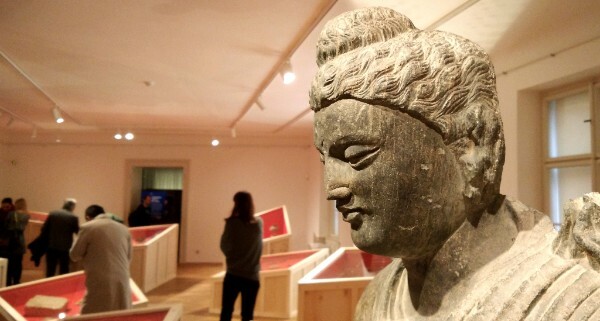 Artifacts from Mes Aynak are in the spotlight at the exhibition coined “Afghanistan – Rescued Treasures of Buddhism” until the end of April. Saving Mes Aynak has been shown to the Afghan community at the American University of Afghanistan in Kabul and in Pakistan at the Center for Media & Design at Habib University. The Pakistani and international students, faculty, and special guests at this event discussed documenting and preserving the heritage and histories of diverse religious communities in the Middle East and South Asia. Through the second half of 2016, Saving Mes Aynak will make its way to the Art Institute of Chicago, a premier museum in the U.S., Italy, Singapore, France, Greece, Lebanon, and Iran. The film will also have an encore screening with the San Francisco Green Film Festival this September at the San Francisco Public Library. Jul 26, 2016 | Categories:Documentary Production | Comments Off on Saving Mes Aynak continues to travel the world! Saving Mes Aynak on LA Times and CNN! Director Brent Huffman was interviewed for Christine Amanpour on CNN to discuss Mes Aynak. Saving Mes Aynak was also featured on LA Times before the film’s upcoming nationwide broadcast on “Witness” on Al Jazeera America. Read the re-cap of the film and interview with director Huffman here. Aug 08, 2015 | Categories:Documentary Production, Films | Comments Off on Saving Mes Aynak on LA Times and CNN! The Saving Mes Aynak team launched Indiegogo campaign to continue the outreach work to educate the audience on the beauty and importance of Mes Aynak and appeal to the Afghanistan President Mohammad Ashraf Ghani to spare the site from destruction and register the site as a UNESCO World Heritage Site. Following is the continued coverage on Saving Mes Aynak and the Indiegogo campaign. Ahead of the world premiere at IDFA (International Film Festival Amsterdam) 2014, we gave PBS NewsHour a sneak peek of footage from the finished film and a new interview with Brent Huffman about the Mes Aynak site. Saving Mes Aynak has been selected for the prestigious FIPA Festival International de Programmes Audiovisuels, screening this January 21, 2015 in Biarritz, France. We are delighted to announce Saving Mes Aynak has been selected to World Premiere at IDFA (International Documentary Film Festival Amsterdam), the world’s largest documentary film festival. Read the latest news story from the Fair Observer written by director Brent E. Huffman where he talks about making the film, significant updates on Mes Aynak, and the latest way you can help! Medill professor and professional documentary filmmaker Brent E. Huffman was interviewed by PBS about the importance of a documentary film education. Nov 15, 2011 | Categories:Uncategorized | Comments Off on Medill professor and professional documentary filmmaker Brent E. Huffman was interviewed by PBS about the importance of a documentary film education. 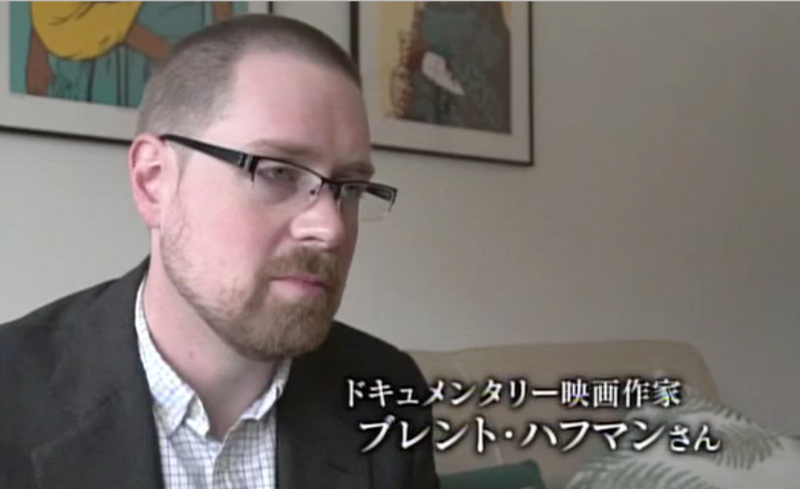 Brent E. Huffman and Xiaoli Zhou to speak and show a retrospective of their documentaries at the Forum for Global Engagement – Semester at Sea 2011. May 01, 2011 | Categories:Uncategorized | Comments Off on Brent E. Huffman and Xiaoli Zhou to speak and show a retrospective of their documentaries at the Forum for Global Engagement – Semester at Sea 2011.